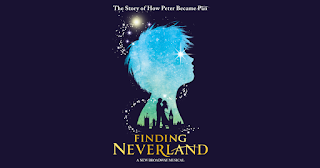 Niagara's Watercooler: Shea's Buffalo Presents "Finding Neverland"
Shea's Buffalo Presents "Finding Neverland"
It sure seems that Wendy and I spend a lot of date nights at the theater. Mostly we find ourselves at the Palace in Lockport, but this time was just a little bit different. Our anniversary was last week, and we always celebrate during Columbus Day weekend. Our schedules just work better that way. So, as a special date night for our anniversary, we got tickets to see “Finding Neverland” at Shea’s in Buffalo. It was a special night, not only for us, but also for the theater, the City of Buffalo, and the musical itself. Shea’s was hosting the National Tour Premier. It was the first time a National Tour kicked off in Buffalo, and Buffalo was proud to celebrate. Anthony Conte, president of Shea’s came out in front of the curtain to say a few words. This would be his last show before turning over the reins to Mr. Murphy. They introduced Mayor Byron Brown and director, Diane Paulus. With the first ever National Tour kickoff, the city was abuzz. Mayor Brown presented Ms. Paulus with a proclamation declaring that October 9th was “Finding Neverland Day” in the City of Buffalo. It was the second standing ovation of the evening and the curtain hadn’t even gone up yet on the show. 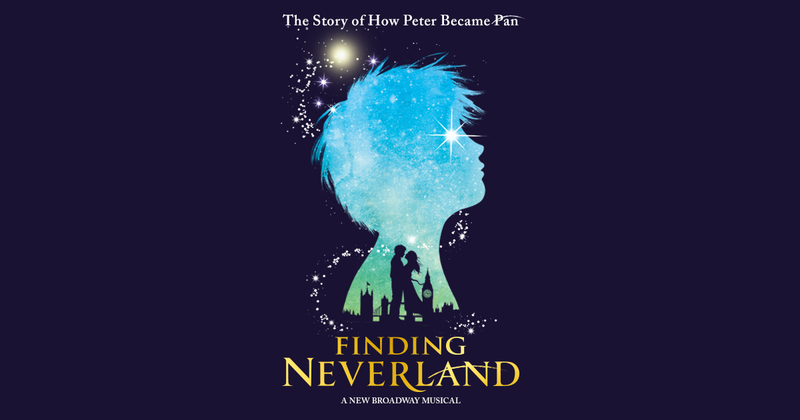 “Finding Neverland” is the musical (mostly true) story of J.M. Barrie’s invention of Peter Pan. We meet Barrie as a struggling artist who is eager to write his next masterpiece. Along the way, he meets the four children of widow, Sylvia Llewelyn Davies. The boys become the inspiration for Barrie’s greatest work. It was amazing what the crew could pull off with visual effects and how the cast integrated themselves into those effects and settings. During the Act I, there was a musical number that had me audibly “wowing” afterwards. “Circle of Your Mind” brought the best of dancing, set design, and visual effects. It was like a true dream sequence, much like the boat ride in the film, “Willy Wonka & the Chocolate Factory.” It was absolutely amazing. I know it’s bad form to speak during the show, but I couldn’t help but utter a “Wow” at the end of that sequence. With this being a brand-new show, there really weren’t any songs with which I was familiar. However, there were a couple songs which found themselves replaying over and over on the ride home. “We Own the Night” and “Neverland” were the two that I discovered myself humming to well after the show was over. The scene in the nursery at the end of Act II was touching in its brilliance. You knew exactly was the symbolism meant without having to have the narrative fed to you. It assumes that the viewers are intelligent -- an assumption which tends to be ignored in most modern television and screen productions. In another review that I recently read, the reviewer dismissed the music as boilerplate, bland, and uninspiring boarding on vanilla inoffensive. I must respectfully disagree. I’m not sure what show that particular reviewer was watching, or is he was not paying attention, but there were moments that bordered on risque with tongue-in-cheek lyrics and dialogue. Sure, there were no songs that we’d ever heard before, but do you think everyone knew “Tradition” was going to be an immortal hit the first time “Fiddler on the Roof” hit the stage? In my opinion, the reviewer’s take on the music was bland and uninspiring. The same reviewer also stated that Jon Driscoll’s projections took away from Scott Pask’s set design. Sure, I’m not an “accredited” theater reviewer, but I am a fan of the stage and a good audience member. The two pieces worked well, hand in hand with each other. Each would be less without the other to enhance it. The stage show was stunning. As a member of the audience, I found it captivating. I also could process all that was happening simultaneously. Shea’s is a beautiful theater. Before the show, I studied the Baroque and Rococo designs that dominate the interior. We were just under the edge of the balcony sitting in a place we had never been before. I’ve never had a bad seat there. I love Shea’s. What I especially loved was something that happened before the show began. Directly in front of us were two young children who were ready to learn the genesis of the Boy Who Wouldn’t Grow Up. An usher, without a word from the parents, brought two booster seats for the children so they would have an easier time seeing. It’s that wonderful service that makes Shea’s so great. Craig Bacon never wants to grow up, and most people who know him will tell you he’s winning that battle.